Picture yourself coming face to face with one of the largest mammals you’ve ever seen. You won’t be afraid - you’ll be amazed at this majestic site while being surrounded by the gorgeous waters of the Sea of Cortez. Enjoy this rare and beautiful sight that is unparalleled anywhere else in the world. 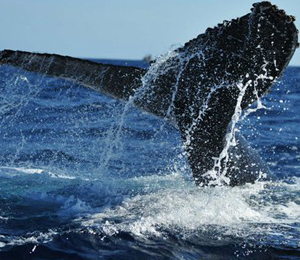 The beauty of nature will be surrounding you as witness one of the most exciting shows in nature at Los Cabos. Our boats will bring you within a few meters of these magnificent whales so you can have the optimal whale watching experience. Be among the few people to have the rare experience of encountering one of nature’s most beautiful aquatic creatures up close! Women who are pregnant or persons with heart, back, or neck problems are not permitted on this tour. Cabo San Lucas Whale Watching is always interested in your tour experience with us. We hope you enjoyed your tour and love to hear comments. I have been to the Bahamas many times, but Zodiac Whale Watch Expedition is one of my favorite trips! It includes everything that everyone should do here. As a Bahamas veteran, I can say only the best about this experience!